Today’s Sundays with Friends comes from a true Southern Belle that I met at my real job. *smiles* I feel very blessed to have met her, because she has been there when I have needed her in the past couple of years. She swears that her Southern accent has rubbed off on me, and I’ll admit it…it has indeed. I believe I have brought out a few traits in her as well…my redheadedness has rubbed off on her a bit I believe. She does have a redhead for a husband, so she needed to learn a few tricks to deal with him. *big smiles* Just kidding. They are a loving couple that are the epitome of a hard-working Southern family. With two adorable kids, huge responsibilities in life, and a beautiful home, somehow they figure out how to make it all work in their everyday lives and still eat good every night. Including finding time to write this entry for The Onyx Plate. From your Jennifer to you…Welcome to The Onyx Plate, Jennifer! I am doing this blog for a special friend and ONLY because she is a special friend. My days consist of getting up at 5:30 am, getting two kids ready for school and daycare, and clock in at work from 8:00 a.m. until 6:30 p.m. I have to commute two hours a day four times a week. I get home around 7:30 p.m. to fix dinner and get two kids ready for bed to start the routine all over the following day. 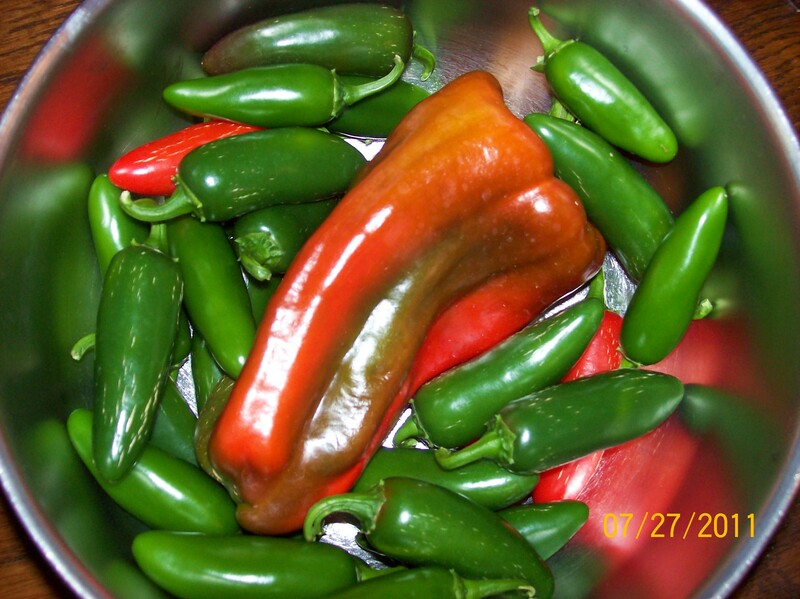 I am free on Wednesdays; therefore, this is how I made time to do this blog about picante salsa. Last year my husband’s cousin’s wife, sent us some homemade picante salsa. It was so good. He would ask for more and more because it was so good. Each time we would get a jar it would be spicier than before. We decided that this year we would grow our own tomatoes to make our own salsa so we didn’t have to keep eating all of their makings. We planted five plants and had around 35 tomatoes the first round, which of course they were not all ready to be picked at the same time. 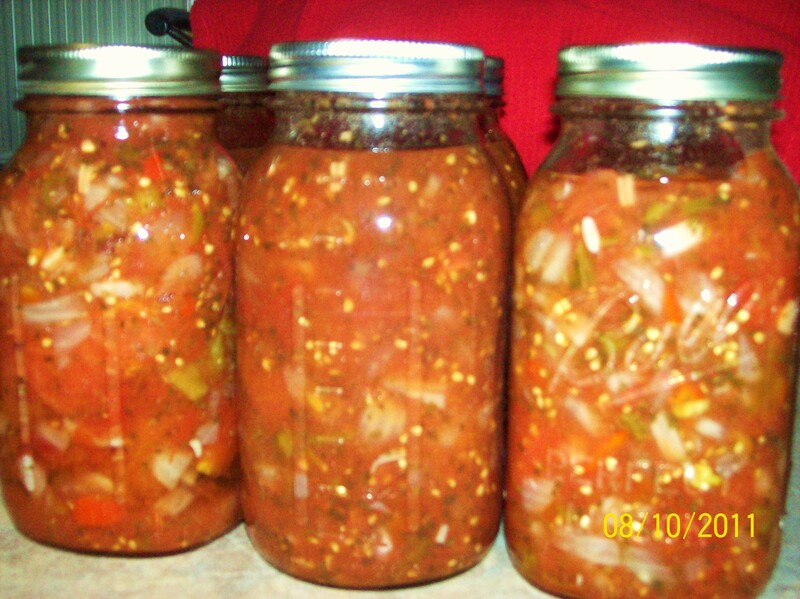 I had to go to my daddy’s to get some from his garden, which was just enough to make my 5 quarts and 1 pint of picante salsa. I also had to borrow my daddy’s water bath. My mother-in-law gave me some cans to use. The Onyx Plate thinks that my southern way of saying cans instead of jars is cute. That is right, I am a southern girl that lives in Stokes County with a little accent and all, which has actually rubbed off on her. LOL! As I was preparing to start my salsa, and taking pictures of my ingredients, I thought to myself this is fun. Now I know why she likes doing this kind of thing. If I only had more time on my hands, this could be a hobby for me also. I put my camera on the desk computer when I was through taking pictures. My husband came home and got on the computer. He picked up the camera out of curiosity to see why it was on the desk computer. He turned it on and seen my blog pictures. He asked, “ Are you taking pictures like your friend Jennifer now?” I said, “I am helping her out with her blog for Sunday’s with Friends.” He laughed. Notes: Cut a small X on the bloom end of the tomatoes and drop them in hot water and then immediately put them in cold water so the skin will remove easily. It also works to fill up your sink with the tomatoes you want to use, make sure the drain stopper is closed, then pour a pot of boiling water into the sink with the tomatoes. Immediately use a long spoon or knife to open the drain stopper and drain the hot water out. 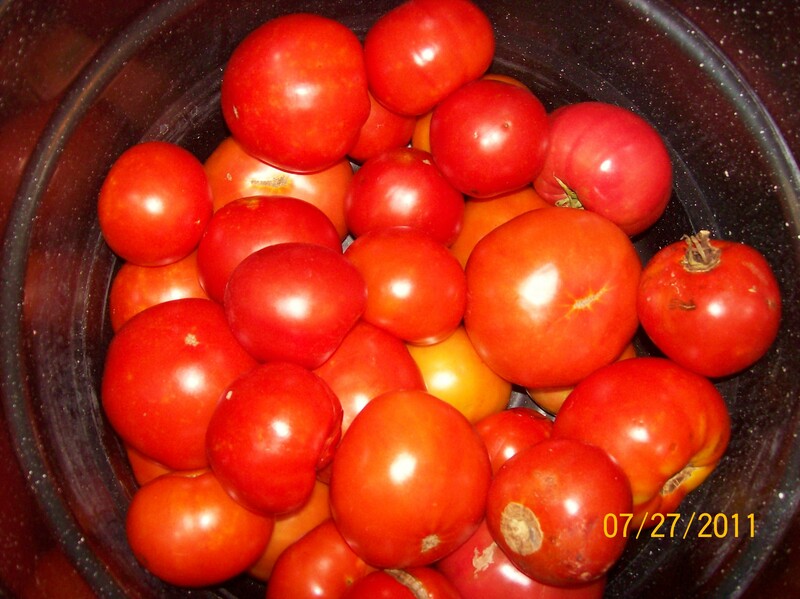 Add cold water to the sink to cool tomatoes. Repeat until the tomatoes are cool enough to peel. Simmer mixture for 10 minutes on medium heat. Don’t let the mixture stick to the bottom of the pot. After 10 minutes, put mixture in hot jars with hot lids. Wipe off jar top and make sure nothing is on the top ring before putting the lid on the jar, or the jar will not seal properly. Do not overfill jars and process in a hot water bath for 15 minutes. Remove from hot water bath, place on a towel until cool and lids seal. You will hear a pop for each one. Do not tighten lids until the jars are completely cooled. Do not let a fan or air conditioner blow directly on the canner or on the cooling jars because they will crack! Doubling the recipe saves a lot of time! The pictures of ingredients gathering together makes me think of food having a family photo or something. 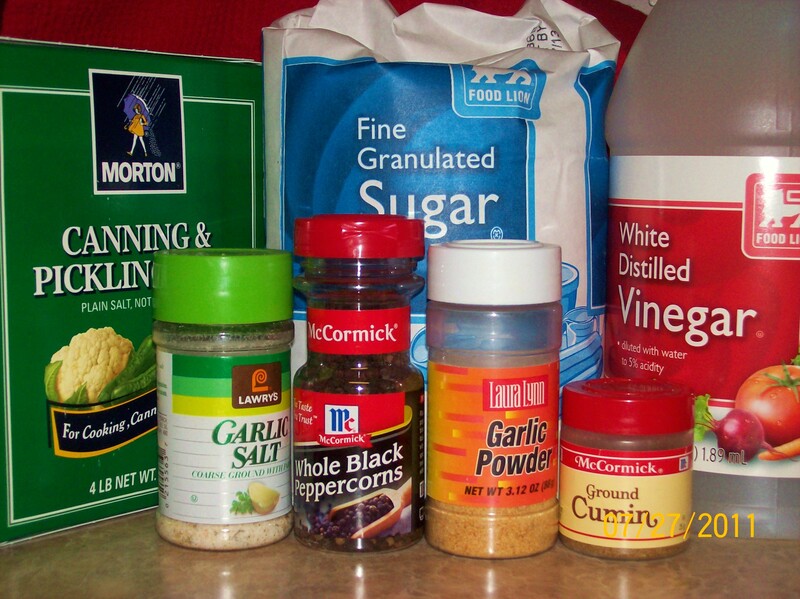 *sighs* Just one more wonderful thing about cooking…it’s all about bringing things together! Doesn’t it though? Food can bring various walks of life together. It’s great!